As an educator, you know that when students are given a writing assignment, many of them may need a bit of help to get it done on time. Did you know that it’s possible to turn to Twitter for some help? The social media micro-blogging tool can help students write a great paper in a number of different ways. Are you feeling stuck and aren’t sure how to approach your topic? Get help from people who can help by connecting with them on Twitter. Just post your question and see who responds. Don’t be shy about asking your followers to re-tweet your request. Most people are happy to help. 2. Search for links to blogs or other content sources. See if anyone has tweeted a link to some material you can use for your paper. Use relevant search terms to start the process. 3. Reach out to experts and scholars in the field you are researching. Is there someone whose work you admire? Make contact through Twitter to get insights you can use when writing your paper. There are discussions taking place every day on Twitter. Conduct a search to see if someone is talking about the subject or your paper and join in to get insights about your topic. 5. Check out corporation’s Twitter feeds or feeds from local or national governments. Many businesses have Twitter accounts, and various governmental municipalities have set up their own feeds. These types of organizational content sources can provide a wealth of information and provide yet another potential source of useful information. 6. Use Twitter to conduct research. Many libraries and archives now have Twitter accounts. Make a point of following them online and ask for the information you need to help with researching and writing your essay. 7. Find news stories about your topic. If you want to find out what the latest news stories and features are around your topic, check out the media outlets. Conduct a search for relevant keywords to see what comes up. You will see what people are talking about right now. Connect with your followers to find out what is happening where they live. Being able to get a perspective from someone who can give you a direct report on an event or an issue will give your paper a depth that you can’t get from other resources. Moreover, you may even conduct interviews. If you’re looking at sources of information for your paper but aren’t sure about the quality of the information you have at your disposal, share your resources with fellow students and ask for feedback. You can get confirmation that you are on the right track or leads to better sources of information. Last Name, First Name (User Name). “The tweet in its entirety.” Date Time Tweet. Do keep in mind that not everything that can be shared in 140 characters should be included in a school research paper. You will have to use your discretion about which tweets make the grade in that department. 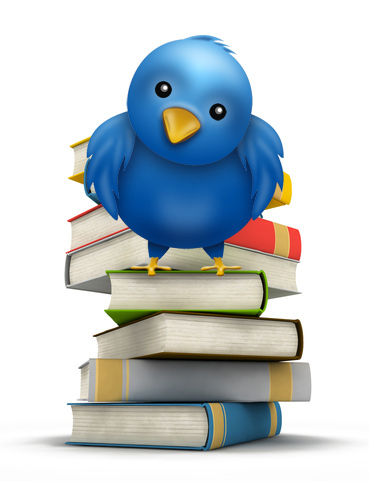 Twitter is a tool that can help students gather information to research and frame a good paper. When used correctly, it can help you find facts and make preparing a research paper a quicker and easier process. Leslie Anglesey is an educator who works at University of Southern California. She is a freelance writer at EssayTigers, and loves providing paper writing tips for her students.